In the Spring of 2014, the unsuspecting Buddy Palmer, Director of Create Birmingham and his board chair Brian Giattina, met me at Demitri’s in Homewood for breakfast. Alabama Launchpad bought their breakfast, and they left agreeing that Create Birmingham would run a statewide poetry contest to help select a poet laureate for the annual Alabama Launchpad Innovation and Entrepreneurship Conference. The poetry contest was well received, and when it rolled around again in 2015, it felt like Alabama Launchpad and Create Birmingham had been partners for years. Recently, Buddy Palmer and the Alabama Launchpad team met to set the schedule for the 2016 poetry contest. While reviewing the draft schedule one morning, a Facebook post from Darla Hall – Founder of In the Sports Zone, and 2015 Alabama Launchpad business competition winner – popped up on my screen. 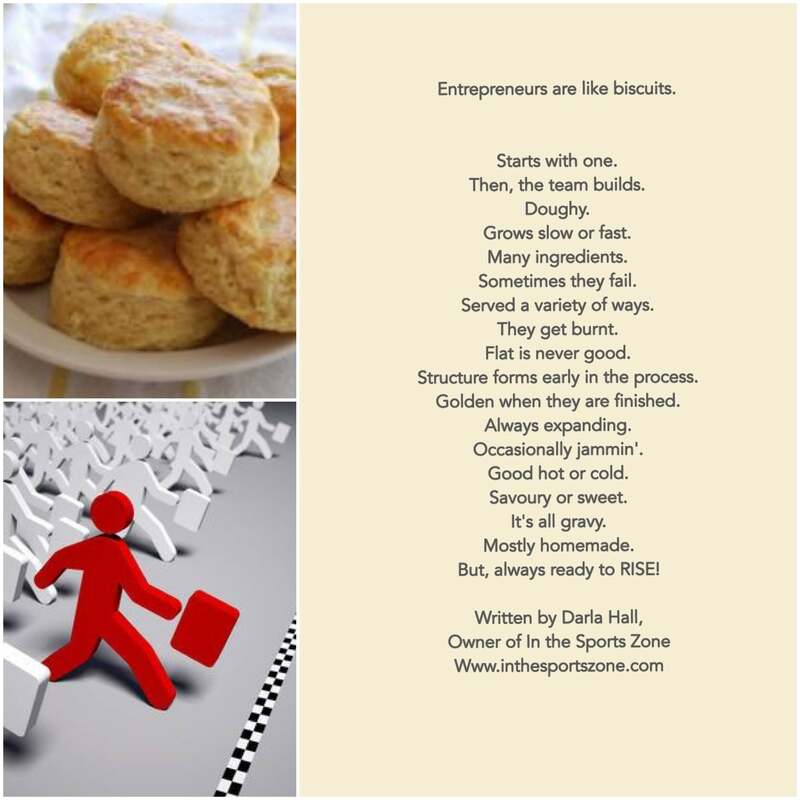 The words “Entrepreneurs are like biscuits” caught my attention. I read on. The words were resonating, grows slow or fast, sometimes fail, sometimes burnt, golden, expanding, sometimes jamming, mostly homemade, and always ready to rise. Thank you Darla Hall for these inspiring thoughts. Creating environments for the arts and business to thrive together is fun work. But when a real business entrepreneur starts posting poetry, that is motivational.